Stores, like Hanna Andersson and Janie and Jack, are offering deep discounts on holiday wear for the kiddies. Was anyone else shocked by the seemingly unending nature of the sample sale e-mail DailyCandy sent out yesterday? We counted: the tally was a whopping 14 this week, and we haven't even approached Black Friday yet. Even more interesting was that the labels didn't sound like the DC editors were scrounging for more to add, either—Goldenbleu bags and Me&Ro jewelry went toe-to-toe with Araks lingerie and Lauren Moffatt party dresses. We know the situation is dire, but is it ... 14 biggies in a week? We feel like we just spent all our money on the "biggies" last week. And now this! If the bell-tolls-for-thee-type reports on online sales coming out of Silicon Valley Insider are any indication, look for your next big sales purchases on the Web. The web site reports that the hardest-hit groups in terms of online sales are apparel, shoes, accessories, books, and music—basically gift items. What's really doing well? Coupon sites: up 37%. Which probably explains DailyCandy's launch of a new Sweet Shop section devoted to events, giveaways, and promotions. Even WWD called the fall sales season "the most disastrous on record" and took stock of the widespread use of major markdowns at department stores. 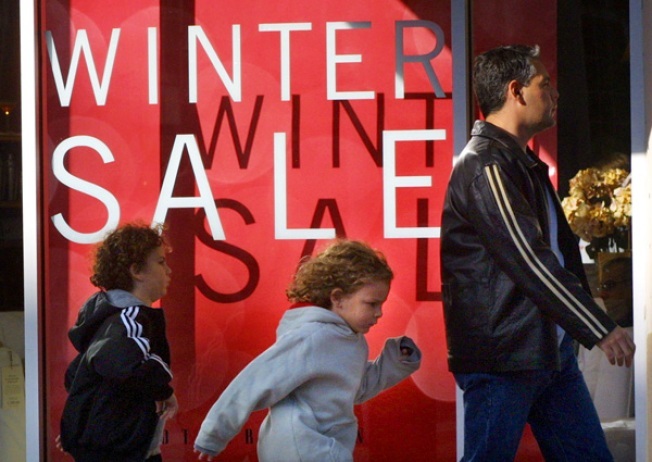 What will result from the rash of markdowns this season? Slimmer production in 2009? Half-empty stores? (Gasp.) Closings?